Finding a good moving company is hard! There are over 8,000 moving companies in the US alone and each company offers different services and pricing. If you know what to look for, you can find a great and affordable moving company relatively quickly. We’re going to assume you’ve already collected a bunch of quotes from moving companies. If you haven’t yet, go check out our moving company price estimate tool. Once you have 3-4 quotes in hand, the next challenge becomes figuring out which company is the best. At moveBuddha, we spend thousands of hours reviewing moving companies. In this post, we reveal our process for finding awesome movers in four easy steps. Quick note: If you’re just moving locally, you’ll want to skip to step 3. Of course, if this process is overwhelming and you want some help finding a mover, be sure to contact us! Having a license doesn’t mean a mover is necessarily good. But it’s typically the first thing we check as an easy way to eliminate bogus companies. If your mover is licensed, they’ll be assigned a Department of Transportation Number (DOT#) and a Motor Carrier Number (MC#). You’ll need to obtain either one of these numbers in order to check if the company’s license is still active. The moving company will typically provide their DOT# or MC# on the estimate paperwork. They’ll also list them on their website in the footer or on the “About Us” or “Contact Us” page. Head over to the FMCSA’s moving company database and input one of the company’s numbers. Next, click on the report button pictured below in the red circle. This will bring up a detailed record of the company. First things first, let’s make sure we’ve got the right company. Scam moving companies will sometimes use another company’s DOT# to try and dupe you. In this example, we are going to use Upline Moving out of California (DOT# 1881933, in case you want to play along). You’ll want to make sure the company name, phone number and address all line up with what the moving company lists on their paperwork. It’s common for movers to use a Doing-Business-As (DBA) name and have a separate legal name. Just make sure one matches the company name you were given. In this case, Upline Moving was the company name given, so everything looks good. Now, let’s make sure their license and insurance are up to date. The Authorities section should list at least 1 of the 5 authorities as ACTIVE status. There should also be YES beside Household Goods. This indicates the company has an active license to move Household Goods. You can also take a quick look at their insurance coverage. Upline has $1M in coverage, which is $250K more than required. Looks good! If the mover passes this simple test, move on to step 2. Side note: if the company only has Broker Authority (pictured below), this means they’re not the actual moving company but a middleman. Brokers can help you find cheaper moving rates but they come with some risks. You can learn more about moving brokers here. Now that we know a company is operating legally, the next question is are they any good? You’ll be happy to know, the FMCSA also tracks complaints against moving companies and it’s super easy to check out any company’s complaint record. First, go to the FMCSA’s complaint database and input the DOT# or MC#. Next, a detailed breakdown of complaints for the past 3 years should come up. If we use our original example, Upline Moving (DOT#: 1881933), you should see the following. No complaints, awesome! But, Upline is a relatively small moving company with a hyper-focus on quality. Complaints aren’t necessarily a bad thing. The screenshot above is for a major van line that does thousands of moves every year. So, less than 30 complaints per year actually ain’t bad. But, what if you don’t know how large the moving company is? A quick way to check is to look at the fleet size which is listed towards the top right. This is a screenshot of fleet size for the major van line pictured above. With a company this size you’re guaranteed some complaints. Now, let’s do the opposite example. This is the fleet size of a small and notorious moving company. For such a small moving company to have so many FMCSA complaints is a very bad sign. And if we scroll down a little more it gets worse. It looks like this company has a history of charging customers more money upon delivery and holding customer’s moves hostage. This would be a company to avoid! If the company has an active license and a good complaint track record, can’t I just stop here? If you’ve made it to this step, it’s likely you have a decent moving company picked out. But we still recommend checking a few more things to make sure they’re top rated. Many complaints and issues never make it to the FMCSA but rather, end up on sites like Yelp or Trust Pilot. A quick google search should bring up reviews on your mover from various review websites. Review sites that only review moving companies are usually lead generation sites masked as “review sites.” It’s a good idea to avoid these websites. Many of the reviews are manipulated to make certain companies look good. Make sure the reviews are from other long distance moves the company has done. Out of state moves are much more complicated than local moves. You’ll want to make sure all the glowing company reviews aren’t just for moving people down the block. Shady moving companies are notorious for flooding review sites with fake reviews to drown out complaints. If you see a lot of glowing reviews with similar language it likely means the reviews are fake. If you find very few reviews on major review sites that’s typically a bad sign. Moving companies that do a lot of business will always have a decent number of reviews online. Only positive reviews is a red flag. Complaints are a part of doing business in the moving industry and every legitimate mover will have a few bad reviews. Expect bad reviews referencing late deliveries or damaged items. These are common issues in the moving industry and every company is going to make these mistakes at times. Watch out for companies with reviews that reference big increases in price on moving day or hostage situations where the mover won’t deliver the items unless the customer pays more money. These kinds of complaints indicate a scam or shady moving company. If you’re working with a national van line (United, North American, Mayflower, Bekins, etc.) you’ll want to get the actual agents name who will be doing the move. Just googling the van line name won’t be helpful because van lines are made up of 100s of individual moving companies. 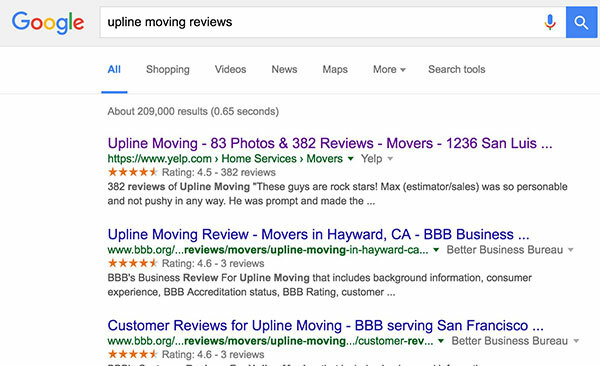 A quick run through of a few review sites can help you make sure your mover is the best. Okay, take a deep breath. Last step, we’re almost there! Alright, now for the last and arguably most important step. The best moving companies have owners and employees who truly care about the company. They have clean trucks, nice uniforms and a focus on customer service. While this can be hard to measure prior to moving day, there are a few things you can check that are common across most high-quality moving companies. Check if the mover is a part of any industry or professional organizations. There are a number of state and national moving associations where moving companies can sign up. We’ve listed all of them here. 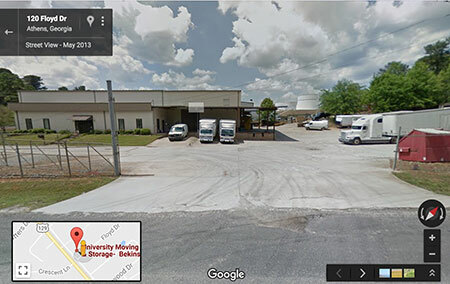 Google the address of the mover and check them out on google maps street view. Any company doing long distance moves should have a legitimate warehouse where they store items and park their trucks. Lastly, do a quick review of their web presence. Great moving companies invest heavily in making their companies look good online to grow their business. Does their website look like it was made in this decade? Do they have a few posts on social media? Do they have employees on LinkedIn? Finding a trustworthy moving company is a major part of any successful move. However, your work isn’t done. A good mover will guide you through the process but you’ll still want to educate yourself on how moving companies operate. Luckily, we put together a professional moving company guide just for this. If you’ve made it this far and still need a little help to find a mover come check us out. Also, if you have other ideas for how to research and review movers please let us know in the comments!